I have a special treat for my loyal blog followers! 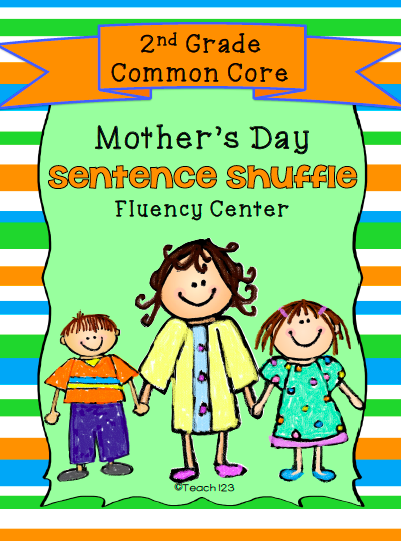 I just added a new Sentence Shuffle fluency center that is about Mother’s Day. This fluency is free until May 8th. This is my special treat to all of you moms who are also teachers! This center is on the 2.8 reading level. There are also 2 writing assignments included with this packet. Click HERE to get your packet. Thanks! I heard about this on facebook. Facebook led me here! Thanks!